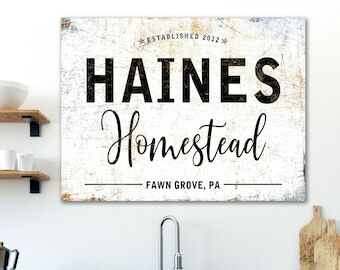 Please enter the last name you want on your sign. 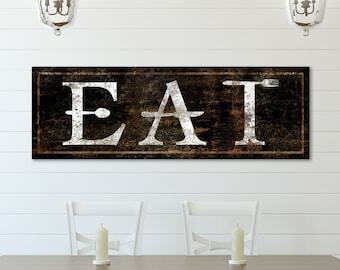 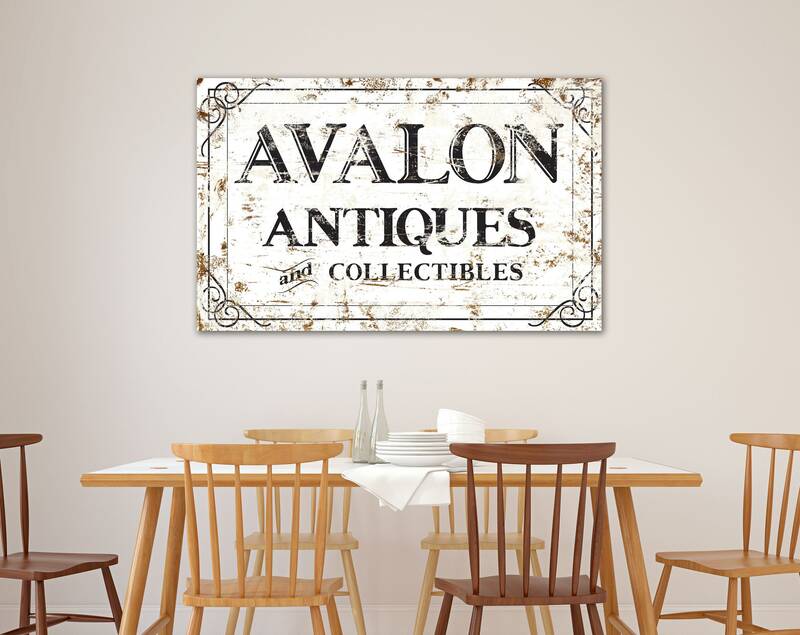 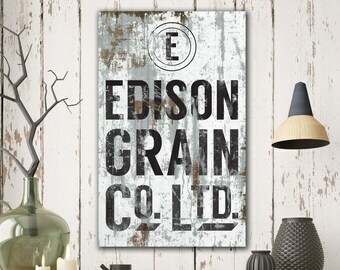 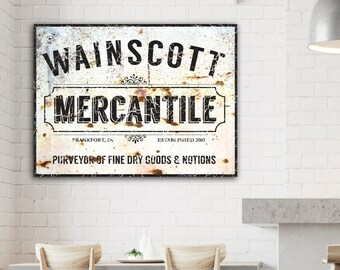 Add a dramatic vintage statement to your kitchen, dining room or living room with this custom faux metal antiques sign. 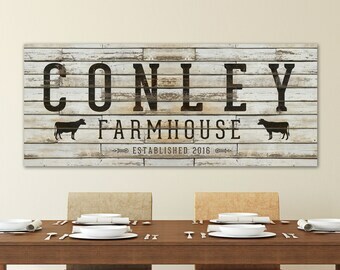 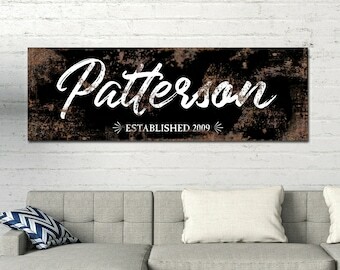 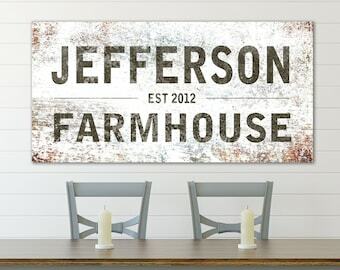 Personalized to order, this custom wall art featuring your family name is sure to blend beautifully with your fixer upper and farmhouse style decor. 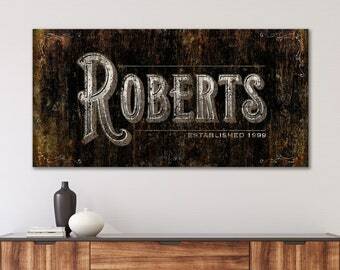 This made-to-order, customized art is PRINTED ON CANVAS and will arrive to you ready to hang. 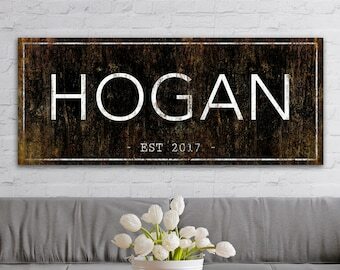 The side edges are finished in black. 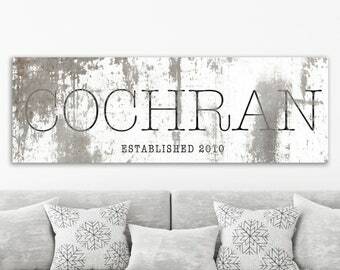 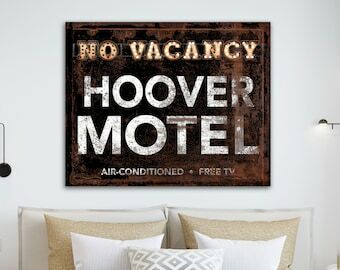 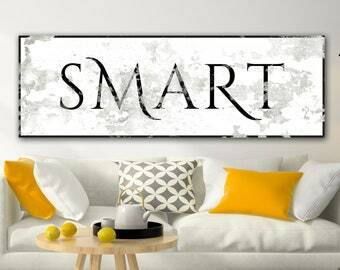 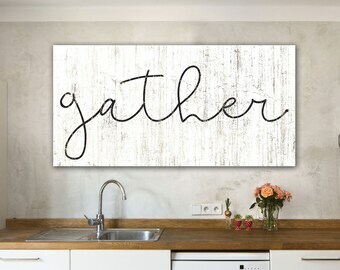 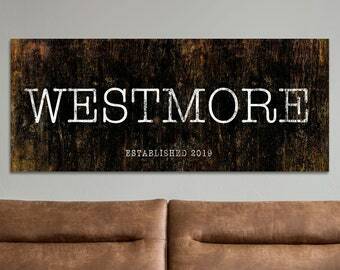 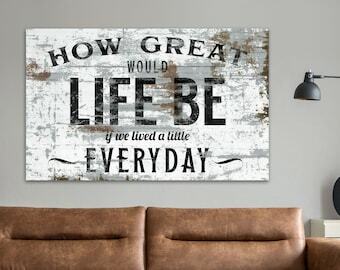 This unique custom sign makes the perfect personalized gift for those who love to customize their decor to make a house feel like a cozy home.